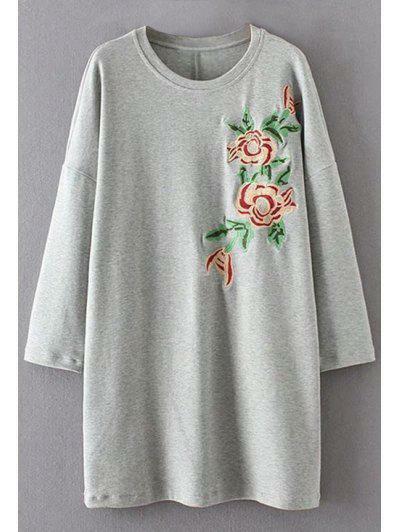 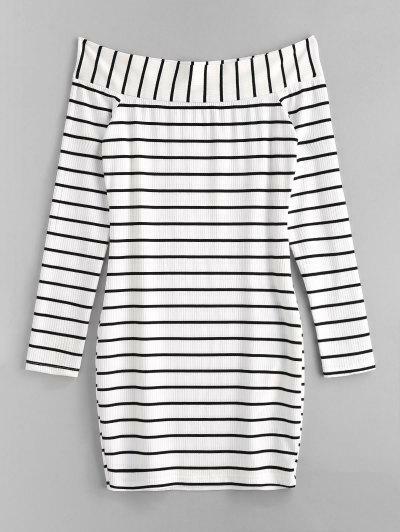 Crafted with fashion and comfort in mind, this soft ribbing dress is well suitable for your daily wearing. 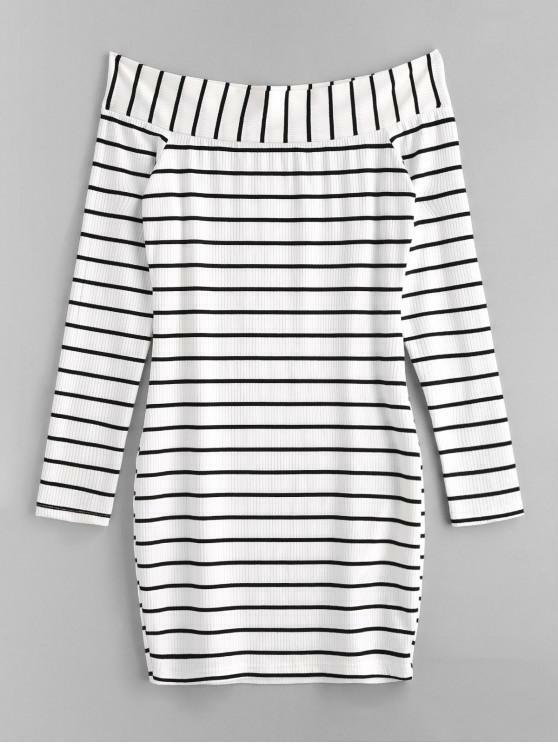 Boasts slim stripes of white and black, the dress has a flirty off-the-shoulder collar to show off your beautiful collarbone and polished long sleeves. 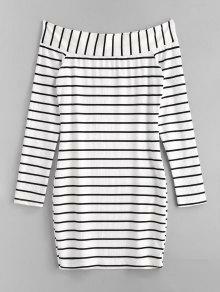 The fitted silhouette fits and flatters your curves for a stunning look.